Our client is a pioneer in Drug Discovery and Development. As the world`s largest R&D spender in the pharmaceutical domain, they work in a vast number of drug discovery & therapeutic areas and are highly recognized internationally. 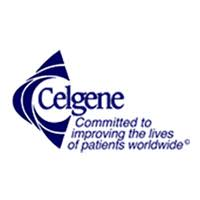 A leader in the field of manufacturing and selling of several drugs with treatment of Cancer. We are currently looking for an enthusiastic Scientist Bioinformatics & Data Analysis for a 2-years contract to be based in Basel . As an ideal candidate you should have 2+ years of experience in processing and analysing metagenomics/microbiomics data , and good knowledge of Python and R . As a Scientist Bioinformatics & Data Analysis you will work in close collaboration with scientists using state-of-the-art bioinformatics and biostatistics tools and methods. The main focus of this bioinformatics position is the implementation of a pipeline to process and analyse metagenomics/microbiomics data in the context of pharmaceutical research. Main Responsibilities: Evaluation of tools and methods for metagenomics analysis; Development of a pipeline to process metagenomics data; Data management of metagenomics data; Visualization of metagenomics data; Data mining of public and internal microbiomics data. Qualifications and Experience: PhD or Master’s degree; 2+ years of industry experience; Highly self-motivated, interested in working in a multinational company; Good knowledge of Python, R or at least one programming language; Previous experience in metagenomics/ microbiomics data analysis would be beneficial; Proficiency in working with bioinformatics tools and methods; Strong background in Statistics; Basic knowledge in biological sciences would be beneficial; Good communication skills in English; Relevant working/residency permit or Swiss/EU-Citizenship required. Our client, one of the most innovative bio-pharmaceutical companies, is looking for a Data Scientist Proteomics for a permanent position based in the Basel area . Main Responsibilities: Building suitable workflows to analyse data dependent and data independent proteomic experiments; Developing standardized workflows for proteomic data storage, management and retrieval; Evaluating high resolution proteomic mass spectrometry datasets to generate knowledge on pharmacological mechanism of action and biomarkers; Ensuring data analysis work is well documented and highly traceable; Integrating proteomic datasets with other data types; Reporting and present results to cross functional project teams including potential interpretations; Working with disease area partners and mass spectrometry lab to ensure optimum study design; Interacting with other statistical and data analysis functions Qualifications and Experience: PhD in biochemistry, biotechnology, bioinformatics or appropriate related discipline; Analysing proteomic datasets with both data dependent and data independent strategies; Knowledge in analysis of omics datasets for pharmacological mechanisms and/or disease biomarkers; Strong background in computational analysis and experienced in using statistical packages such as R; Experience with communicating omics data to non-specialists; Hands-on experience with sample preparation for proteomics and operating high resolution mass spectrometers and nanoflow-LC preferable; Experience in one or more therapeutic areas (CNS, immunology, oncology and CV/fibrosis) advantageous; Proficient in the English, written and spoken. German and/or French would be an advantage. Relevant working/residency permit or Swiss/EU-Citizenship required. Our client is a pioneer in Drug Discovery and Development. As the world`s largest R&D spender in the pharmaceutical domain, they work in a vast number of drugs & therapeutic areas and are highly recognized internationally. They are also a leader in the field of manufacturing and selling of several drugs for the treatment of Cancer. They are currently looking for a Senior Data Scientist - Real World Data for a contract with high chances of extension, to be based in Basel. If you have 3+ years of experience in Developing Protocols or Designing Observational and Non-interventional Studies, within a pharmaceutical environment and you would like to step in a key role in which to drive real world data generation at a global level, this is the right opportunity for you. As a Senior Data Scientist you will work with meaningful data to generate impactful evidence and insights on our molecules/medicines and patients, support R&D, advance scientific and medical knowledge, and enable personalized patient care and access. Main Responsibilities: IDENTIFY EVIDENCE NEEDS & RECOMMEND DATA SOLUTIONS: Ask the right scientific questions, understand the evidence needs for research and development, regulatory and market access, and ideate and make recommendations on fit-for-purpose data and analytics solutions. DIVE INTO DATA: Develop a comprehensive and deep understanding of the data we work with using analytical tools and applications to broaden data accessibility and advance our proficiency/efficiency in understanding and using the data appropriately. BE AN EXPERT IN APPLYING METHODS: Stay current with and adopt emergent analytical methodologies, tools and applications to ensure fit-for-purpose and impactful approaches. PRODUCE HIGH QUALITY ANALYSES: Apply rigor in study design and analytical methods; plan for data processing; design a fit-for-purpose analysis plan, assess effective ways of presenting and delivering the results to maximize impact and interpretability; implement and/or oversee the study, including its reporting; ensure compliance with applicable pharma industry regulations and standards. INTERPRET AND SHARE RESULTS: Communicate findings to internal stakeholders, regulatory, health technology assessment (HTA) bodies and scientific communities; publish results. Qualifications and Experience: MSc or PhD in epidemiology, pharmacoepidemiology or biostatistics/public health (with focus on epidemiology/observational research); Demonstrated track record of developing and executing epidemiological or outcome research projects, with publications and presentations; Demonstrated experience with managing project scope and driving delivery in an evolving environment requiring proactivity and effective problem-solving and prioritization when faced with challenges; Demonstrated strong collaboration skills and excellent communication skills; Demonstrated entrepreneurial mindset and self-direction, ability to teach others and willingness to learn new techniques; Proficiency in English, both written and verbal; Track record of effectively working in a matrix environment with global, international team members coming from scientific, business and operational backgrounds, using influence without authority; Relevant working/residency permit or Swiss/EU-Citizenship required. 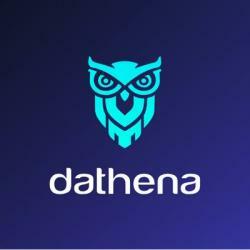 Dathena is a Swiss and Singaporean company developing data governance software based on machine learning an artificial intelligence. Dathena is the most complete and accurate data governance platform, and is the only solution to easily classify and manage data with this level of accuracy while helping companies to comply with regulations. Using cutting edge machine learning technology Dathena sift through all of unstructured data, allowing to regain full control on company’s information. The velocity and density of information in digital business has significant business benefits due to the insights it creates. However, it exposes new risks on how to protect this data and new privacy challenges to guide its appropriate use. Digital business requires a new view on security and privacy, one that is driven by the level of risk appetite and enablement of business and technology strategy. Job purpose This position will be part of the Client Solutions Team, and responsible for providing clients with the guidance and support needed throughout the full lifecycle of our solution’s implementation to ensure the successful and most effective use of Dathena’s products.In addition, this person will be a leader in ensuring overall client and partner satisfaction with Dathena’s products and related services. You will act as a trusted technical advisor to support our clients to ensure they remain successful and realize the full value of their investment in our product. Responsibilities Become a trusted expert in Dathena, our client platforms & partner vendor functionality to provide effective operational guidance around these technologies. Oversee client service requests acting as a service delivery and escalation manager. Help partners in their day-to-day challenges as our customers’ go-to resource for troubleshooting technical issues Build client success and prioritization plans aligned to key performance indicators and objectives. Ensure key accounts are updated on new product features and produce roadmaps to implement. Educate clients on the value of the overall solution and encourage optimal utilization. Channel customers’ feedback to the Dathena product team. Assist in prioritizing product requirements and platform improvements by understanding and communicating customers’ needs. Identify pattern and constantly look for opportunity to industrialize the Assessment to subscription process Develop best practice recommendations for Dathena clients based on product and vertical experience gained in the field. Key metrics Customer and Partner satisfaction Implementation duration # of conversion of Customers to subscription Contributions to product and sales process improvement Desired Experience Comfortable managing technical conversations with technical and non-technical stakeholders. Problem-solving skills around technical, product, and business questions. Ability to build great relationships with technical and non-technical customers Contribute to the success of a dynamic and growing organization Good knowledge in using query languages such as SQL, Hive, Pig, etc. Good scripting and programming skills: Bash, Python, Scala, Java. Good understanding of machine learning techniques and algorithms, such as K-means, k-NN, Naive Bayes, SVM, Decision Forests, etc. Knowledge with common data science toolkits, such as R, Spark, NumPy, etc. Excellence in at least one of these is highly desirable Knowledge with NoSQL databases, such as Cassandra and HBase Good applied statistics skills, such as distributions, statistical testing, regression, etc. Soft Skills Fluent in English; French or German is a plus Data-oriented personality Exceptional Oral and Written Communication Skills Time management Interpersonal Skills Critical Thinking Working conditions As a critical link between the client and the development, you must fully embrace the team spirit of a young and innovative Start-up.Travel and working from remote locations may be required.Scope: Expandable to EMEA depending on expertise and company growth. Nexthink is a global leader in Digital Employee Experience. Our product allows enterprises to create highly productive digital workplaces for their employees by delivering optimal end-user experience. Through a unique combination of real-time analytics, automation and employee feedback across all endpoints, Nexthink helps IT teams meet the needs of the modern digital workplace. Headquartered in Switzerland, Nexthink also has offices in France, UK, Germany, Spain, UAE, Saudi Arabia, Australia and the US. Our growing team of Nexthinkers is proud to be making the digital work lives of seven million employees across 1,000 customers more productive. Thanks to our fantastic growth we are looking for new rock stars! Job Description We are looking for a Business & Data Analyst reporting to the Head of Sales Operations. This role will work closely with Sales and Marketing functions, Finance and Customer Success organization. It is a unique opportunity to join a booming Software Business environment in a role that will directly impact business agility and success. Primary Responsibilities: Data Audit, Stewardship & Governance . 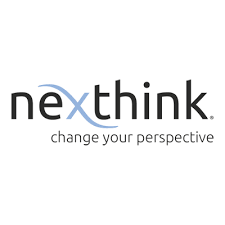 Understand Nexthink’s end to end systems and processes, Identify Data reliability breach sources, and Propose fixes of Master Data Elements and transactional flows at stake. Plays as the data integrity guardian. Project Member . Drive all relevant Cross functional initiatives for new process, new system introduction as well as projects aiming at connecting Enterprise systems. Business Analyst . Review, Analyze and help steer Business reporting processes and structure; including but not limited to Marketing leads, Pipeline Waterfall, Performance KPIs (Go to market, Regional, Channel, Discounts etc…) Seniority level: Mid-Senior Level Function: Analyst Qualifications Analytical curiosity - Enjoy playing “Helicopter” Analytics and deep dive into core data source. Process & System minded. Business Savy – Understand Business processes, challenges and requirements. Passion for Business support, and extra mile mindset will be key differentiator in candidate selection. Sense of ownership, Result driven. Project Management skills and experience. Problem solving & Prioritization skills. Team player - Interpersonal communication skills. Multi tasks in fast paced environment. Understand Data Management criticality. Bachelor’s Degree in business systems, computer science, information technology, or related field. Minimum 5 years’ experience in similar role. Software industry experience a plus. CRM SFDC a must. Fluent English a must, Fluent French a plus. Strong command on Microsoft Office a must. CROSS is a consulting and engineering company, a subsidiary of the Micropole group, specializing in the fields of Digital Transformation , Performance Management and Data Governance . Present in French-speaking Switzerland since 1987, the 190 employees who compose it accompany its customers from strategic thinking to the implementation of the solution and its support. 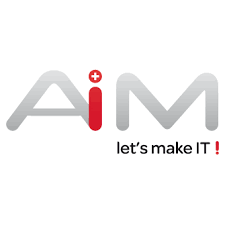 In order to strengthen our teams, we are looking for one of our customers in Geneva a (e): SENIOR DATA SCIENTIST / IA MAIN ACTIVITIES Engage with selected stakeholders to define the needs and business scenarios and offers different types of solutions and a phased approach to their implementation. Evaluate and pre-process raw information as necessary; delve into data to discover discrepancies and matching patterns. Collaborate with Business Analysts on the "Business" side to plan the development process on behalf of the Steering Committee: organize, conduct and report on all technical related activities. 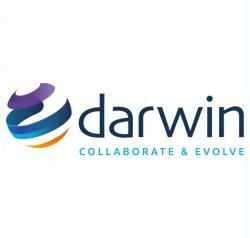 Work with the data scientist and the project team to design, develop, test and deliver AI solutions / modules and evaluate the modules / solutions compatibility with the ICT platform, its applicability, availability and scalability. Delivering data models and matching criteria / types of data capture and distribution of human rights operations, defining the type of data and the record keeping processes, and dealing with large scale datasets. Design and build from scratch a hub query, based on various sources, and accessible to the business. Collaborate with ICT teams to evaluate and implement required developments. Present AI Proof of Concepts to the Business Team in the field of Data Science, including a study of the technologies and the way to industrialize the solution . 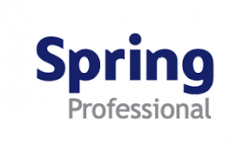 TECHNICAL SKILLS 7+ years of experience as a Data Scientist Strong experience in data mining / analysis, data modeling / neuronal networking and data visualization / reporting methods and tools o Strong knowledge of statistics and data analytics (eg as SPSS, SAS, Excel or similar). Proficient in algorithms / queries for global / elastic search implementation Demonstrated experience in implementing systems leveraging Artificial Intelligence / Machine Learning technologies eg for text / image recognition, identification / authentication Proficient in programming languages ​​and environments such as MATLAB, R, Python or related languages Excellent analytical and communication skills Outstanding organizational and problem-solving aptitude Strong experience in large-scale deployment processes Master Degree in Operations Research, Computer Science, Statistics, Mathematics or a related field LANGUAGES Fluent French Fluent in written and spoken English Your personal qualities will make the difference: rigorous professional ethics, autonomy while having a team spirit, analytical and synthesis skills, listening, creativity, sense of service, sense of customer relationship, diplomacy, commitment ... At CROSS, as well as your CV and the experience that you will put forward, we will be seduced by your personality, the place you give to human relations in the work and your desire to be involved in the company. To summarize, you will understand, if your skills, your desire to grow with us and your personality match our business project, then there is a good chance that we go together! So, do not hesitate, come join us.